Winter is coming! This unseasonably warm stretch of weather will come to a screeching halt by the end of the work week. On Thursday, a strong cold front will blast through the ArkLaTex and shake up the weather pattern. This front will bring in scattered to widely scattered showers and storms Thursday morning through Thursday afternoon. With a warm, moist air mass in place, a few strong storms will be possible Thursday morning ahead of the cold front. Behind the front, much colder air will pour into the ArkLaTex. 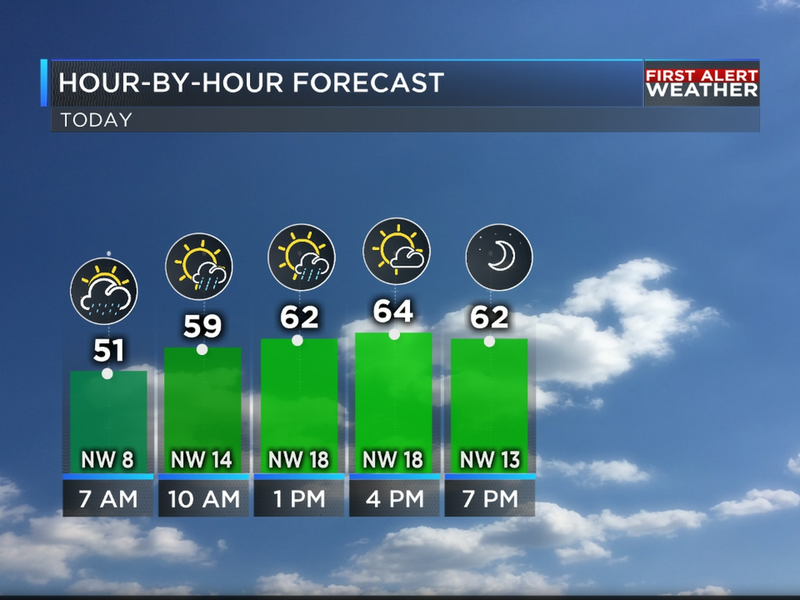 KSLA First Alert Meteorologist James Parish will track the cold front and storms hour-by-hour with FutureTrack in the video below. Even though the threat is low, a few strong to severe storms will be possible Wednesday through Thursday morning. The latest severe weather outlook from the Storm Prediction Center for Wednesday and Wednesday night shows the very northern tip of the ArkLaTex will be under a Slight Risk of severe weather, while the I-30 corridor is under a Marginal Risk. A Slight Risk is 2 out of 5 on the severe weather spectrum and a Marginal Risk is 1 our of 5. Even though the best chance of storms will stay north of area, a stronger storm could clip the very northern tip of the area Wednesday afternoon and evening. With a strong cold front approaching from the northwest, the threat of a few strong to severe storms will continue overnight through Thursday morning. If strong storms develop, the I-30 corridor probably won’t have to worry about severe weather until first thing Thursday morning. On Thursday, most of the I-30 corridor and points south to just north I-20 will be under a Marginal Risk of severe weather. This where a few strong storms capable of strong to damaging wind gusts will be possible. Large hail and tornadoes are not expected at this time. A secondary threat could be locally heavy rainfall. Widespread heavy rainfall and flash flooding is not expected. Wednesday will be our last unseasonably warm day before winter returns to the ArkLaTex. Highs on Wednesday will be in the mid to upper 70s. By Friday, Highs will only be in the 40s, and Saturday doesn’t look much warmer. Temperatures will start to rebound towards the end of the weekend and into early next week. Highs on Thursday will still be near 70 degrees. However, highs will be recorded during the morning or early afternoon. Expect temperatures to start to drop as soon as the front passes you. Temperatures will be dropping through the 60s and 50s Thursday afternoon. You’re really going to feel a change in the weather Friday morning. We’ll wake up to temperatures in the 20s and 30s. You’ll definitely need to make sure you are your kids are bundled Friday morning. Freezing temperatures will be possible in some areas.